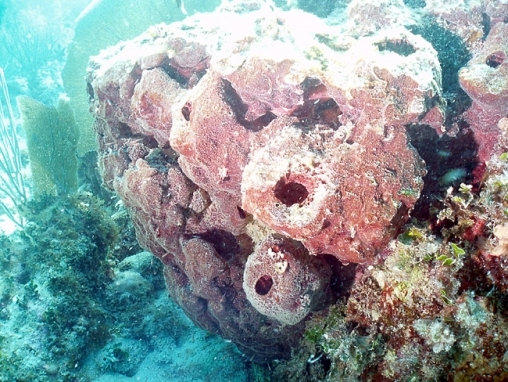 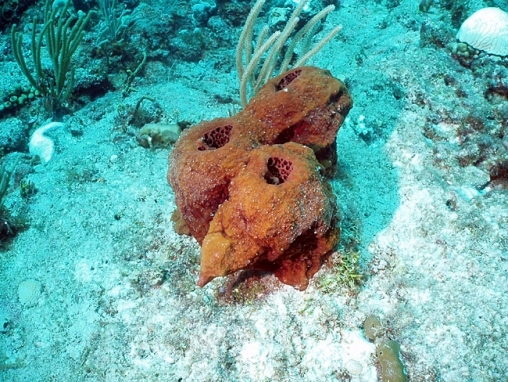 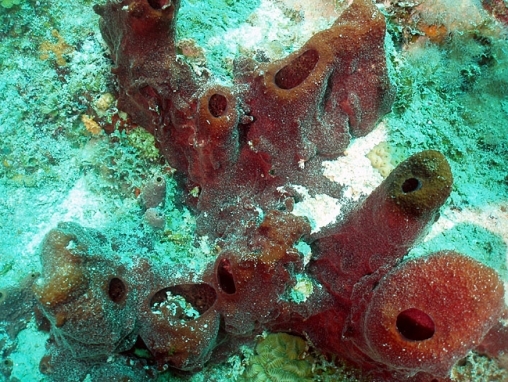 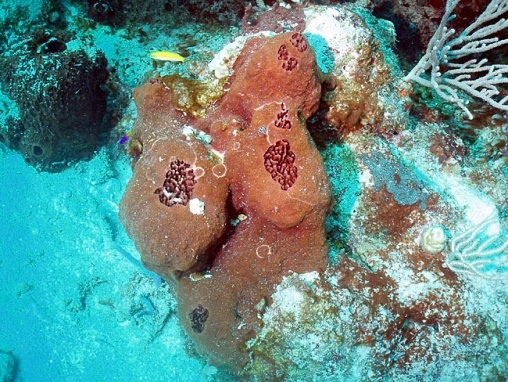 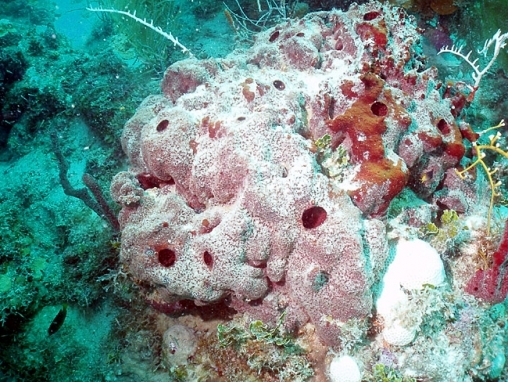 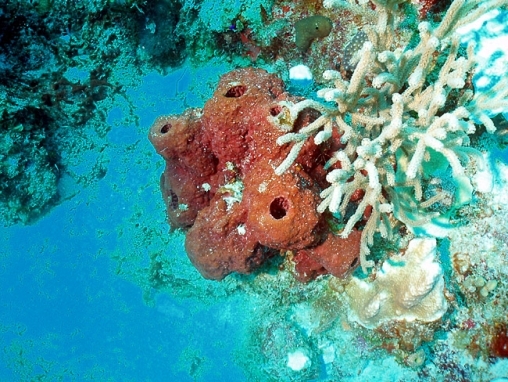 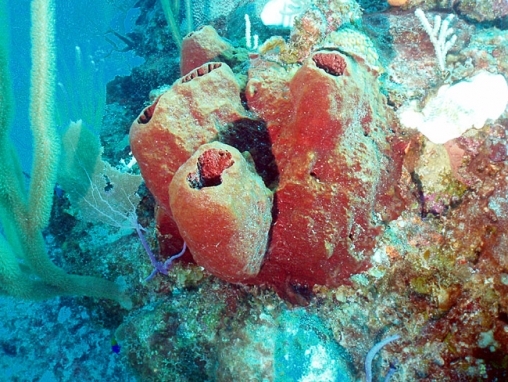 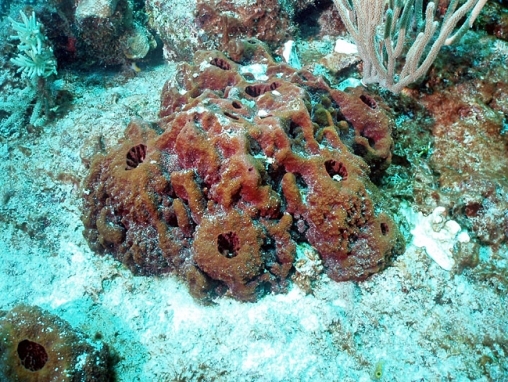 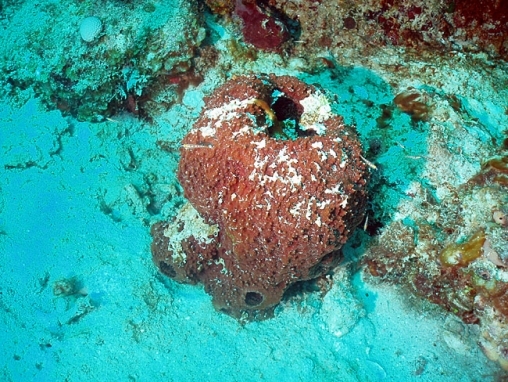 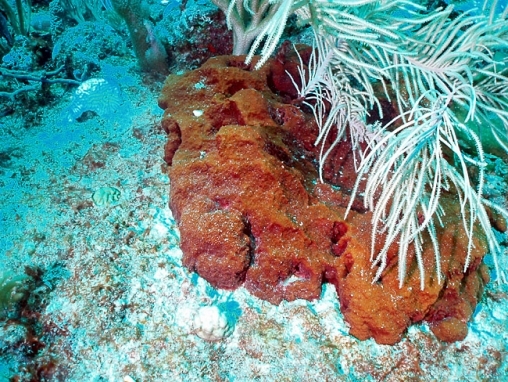 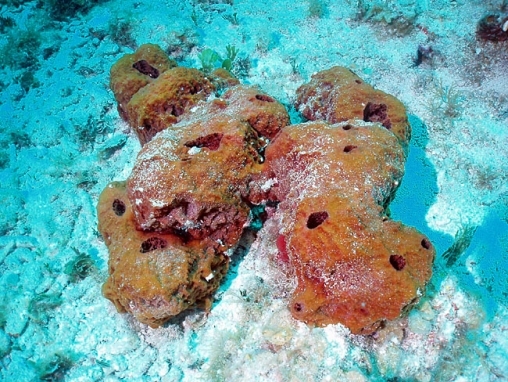 A large, irregular and lumpy sponge, which is brown to reddish brown. 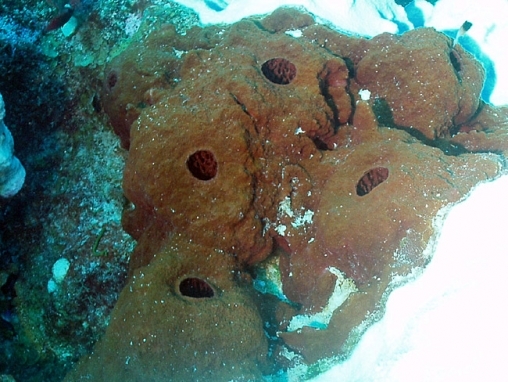 Colonies are composed of several connected, thick walled cylinders or mounds, each with large exhalent openings. 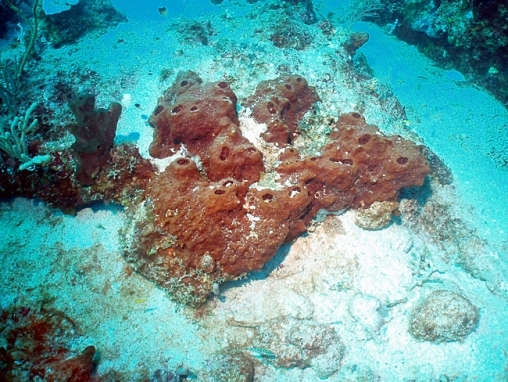 The outer surface is lumpy but smooth. 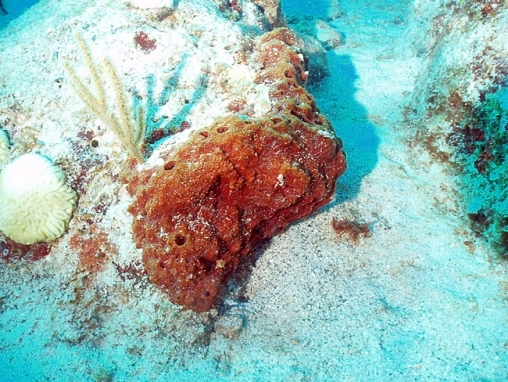 Inside the openings the surface is rough, to the extent of being ’buttressed’ or being nearly filled with connective tissues. 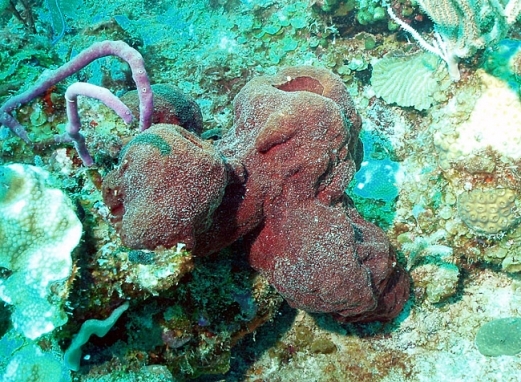 This sponge is highly toxic and should not be touched.